According to the study “Third-party pickup in the UK 2018-2023”, all the third-party logistics providers are differently accommodated due to the active online retailing market in UK. It was observed that there are plenty of advantages in UK’s third-party pickup sector, however, there few drawbacks because they control an organization’s inventory in terms of shipment and product handling. It is said that choosing a proper third-party pick-up partner will develop or shrivel an organization’s logistics, customer service, and purchases. This is due to trusting a third party with organizations data related to sales, inventory, costs, and other sensitive information which is risky. Third-party pickup in the UK is also known as third-party logistics and is a part of logistics and supply-chain management that outsources a part of distribution business. Third-party logistics providers or third-party pickup is a prominent part of any business which solely receives, holds, or otherwise transports various products purchased by consumers, however, does not hold title of any product and are responsible for fulfilling the requested activities of the ecommerce companies. It was observed that internet penetration has empowered internet retailing over the recent years past decade driving the market for third-party logistics. Fortune 500 and Fortune 100 companies in UK use third-party pickup services which are the major outsourcing sectors. 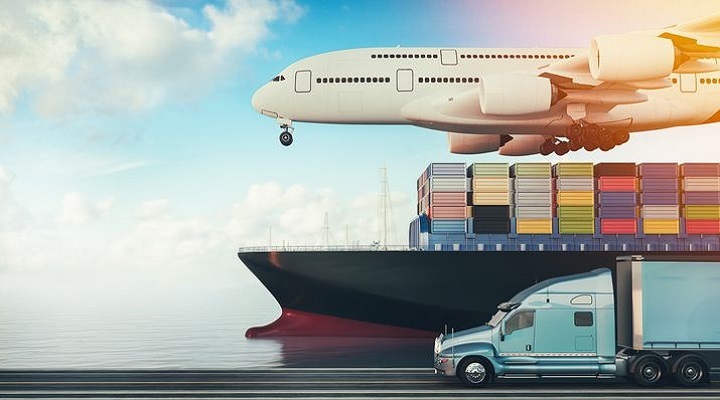 Third-party logistics providers concentrate on supply chain process, however, the major activities are transportation, warehousing, distribution, shipping and receiving. Larger third-party logistics providers in UK handle their logistics department in very efficient way while integrating seamlessly. They handle the inventory shipment between consumer and buyer or between factory and warehouse. The leading players within UK’s third-party pickup market are Amazon, Currys, Argos, Boots, Sports Direct, Dixons, Morrisons, ASOS, Missguided, boohoo.com, Post Office, Collect+, Hermes, Parcelly, Doddle, Pass My Parcel, Parcelforce, UPS Access Point, Inpost, AO.com, Asda, BoohooMAN, Carphone, Warehouse, PC World, Debenhams, GAME, H&M, JD Sports, John Lewis, Marks & Spencer, New Look, Next, Superdrug, Tesco, Very.co.uk, and Shop Direct. UK’s third-party pickups deliver consumer products purchased through online, retail, and e-retail options. Various products handled by UK’s third-party pickups are books, clothing, footwear, clothing & footwear, DIY, gardening, electrical appliances, food & grocery, health & beauty products, home appliances, entertainment appliances, laptops, desktops, tablets, mobiles, lockers and many more items. Third-party pickup penetration has witnessed a drastic growth over the recent years due to increase in online shopping. Clothing and footwear account for a largest sector within the third-party pickup channel, however, growth is restricted in few sectors due to the nature of the products. With the advent of industrialization, increased spending limit and more online retailing opportunities are bolstering the growth of UK’s third-party pickup market. Store timings and early closures are reducing the availability of click and collect options, creating opportunities for third-party pick-up market. It was observed that UK is excelling in all its business and reducing stress associated with delivery of products. Almost all organizations are collaborated with efficient third-party pick-up partners who deliver packages on time and with special care. UK’s third-party pick-up partners are equipped with real-time tracking capabilities and up-to-the-minute ETAs that track the entire delivery process. With the advent of technology the third-party pick-up market in UK will experience a steady growth over the next few years.